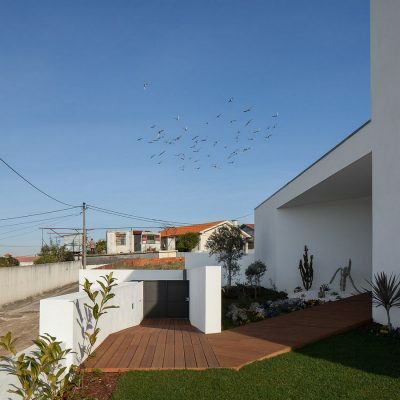 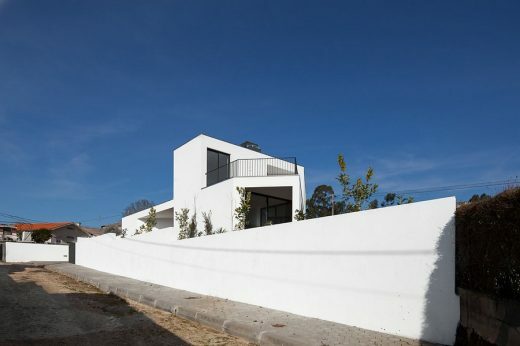 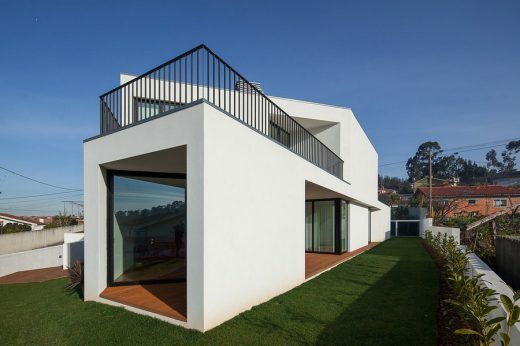 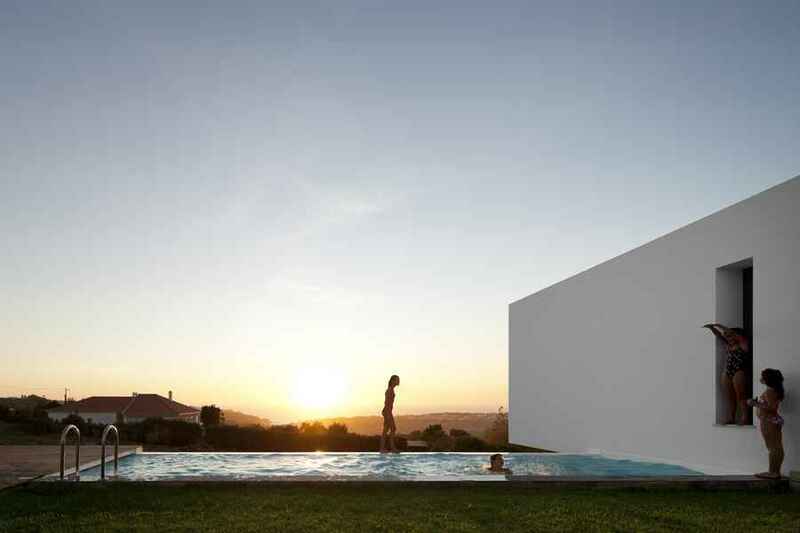 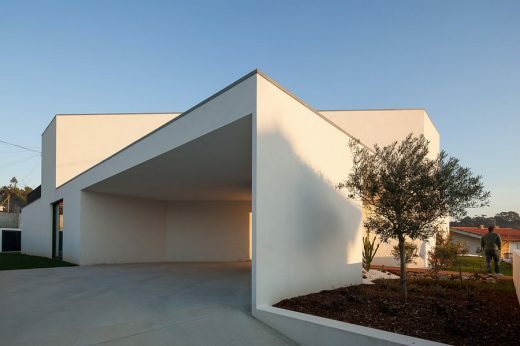 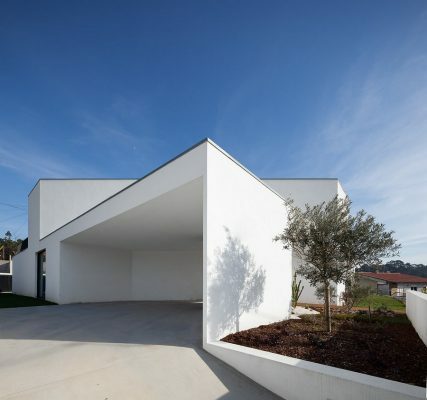 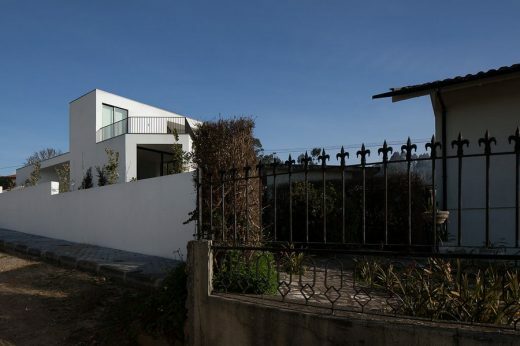 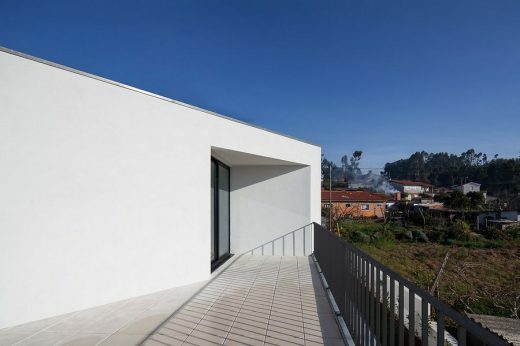 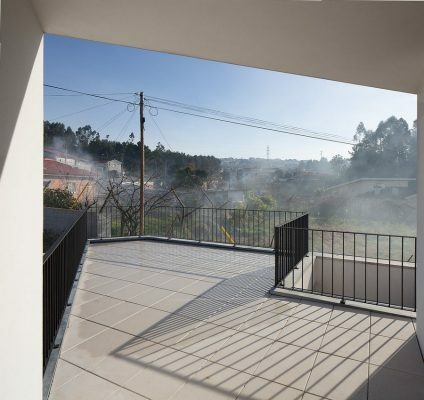 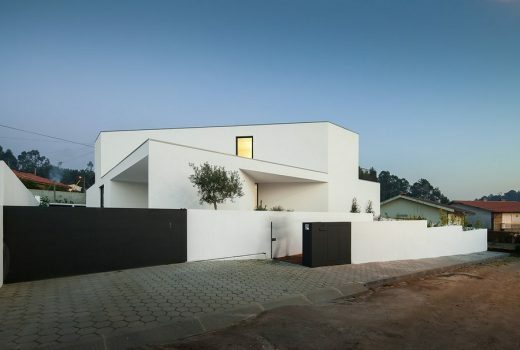 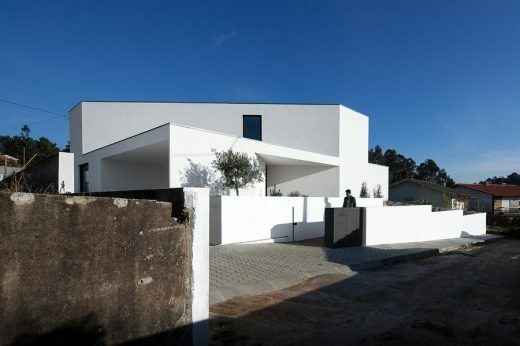 This contemporary Portuguese property is located in Arrifana, a small village, which is just four kilometres from the centre of the city of Santa Maria da Feira, but still maintains the strong rural features with all its charm and beauty, that characterizes this type of housing style and were the Vouga railroad persists till today. 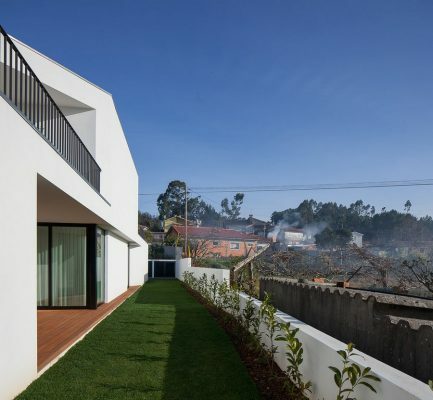 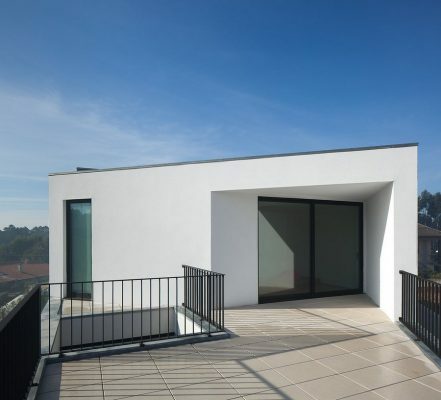 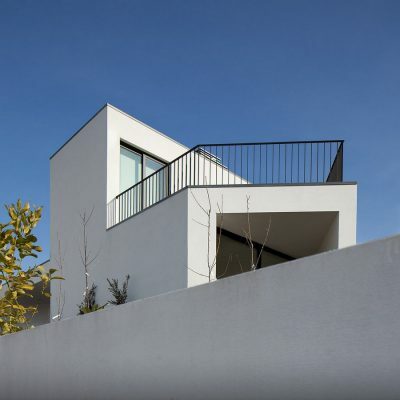 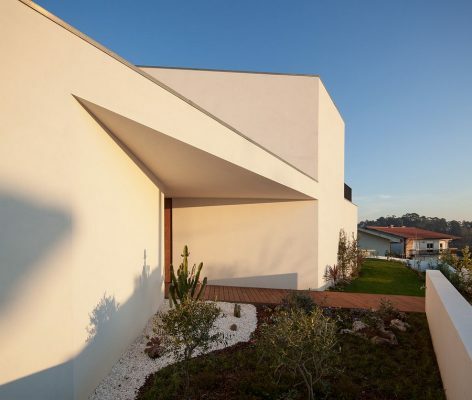 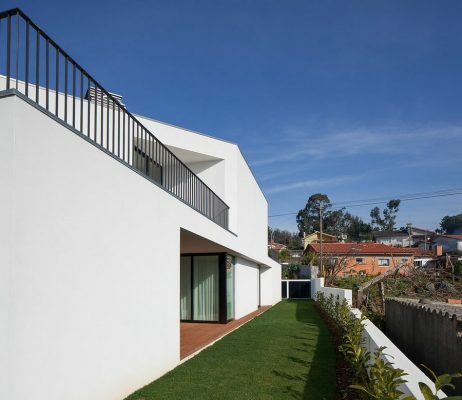 The project is developed in a land lot characterized by its triangular shape, with little rugged topography, that establishes a superior interface with the contiguous land as well as the street level, allowing us to extend our gaze over the horizon. 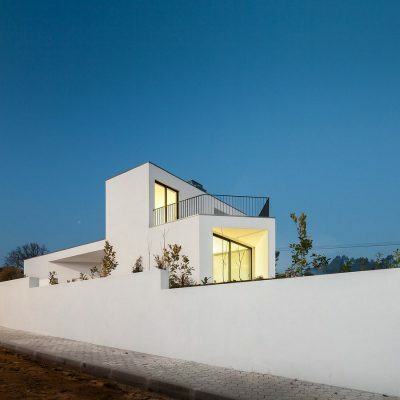 The building is incorporated and occupies a large part of the land; therefore it maintains the same triangular shape. 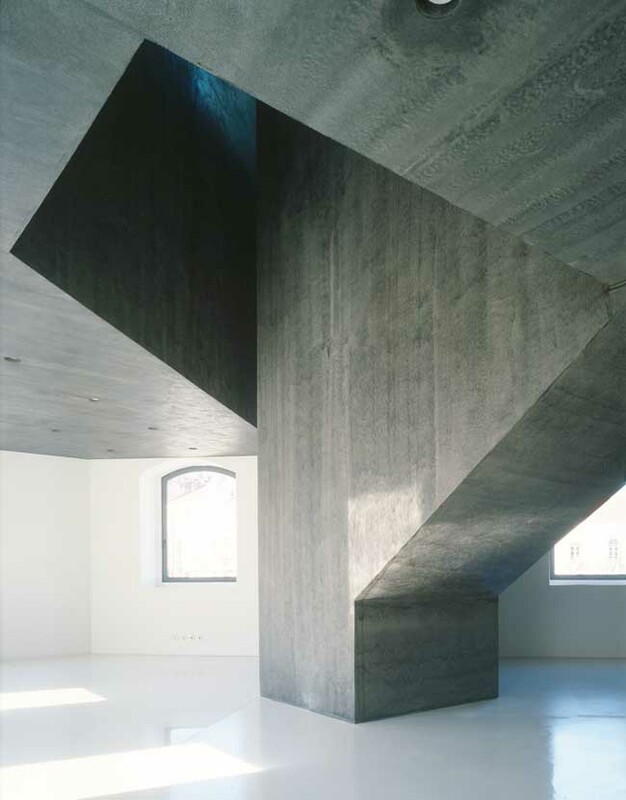 The architectural volume allows a variety of perspectives, exceeding the upper floor by its articulation with the lower floor. 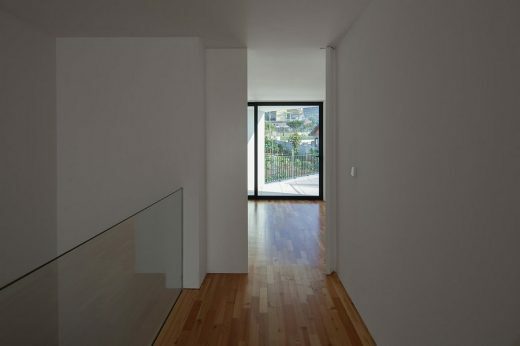 The facades of the building had all the same treatment, defining a white volume, where the emptiness’s outlines the shape and regulates the entry of natural light, projecting still, an interesting set of shadows. 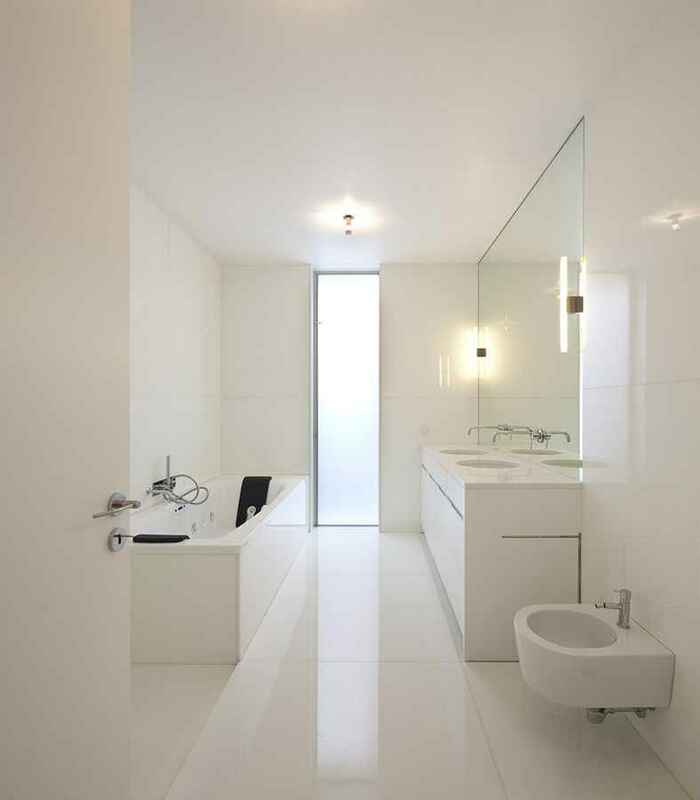 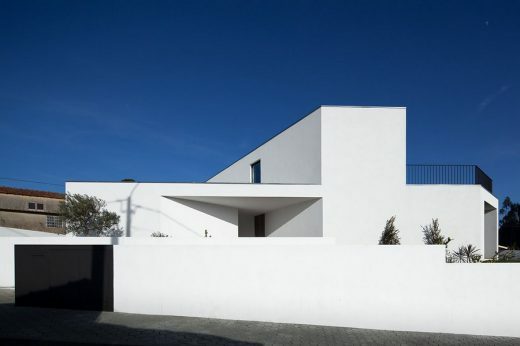 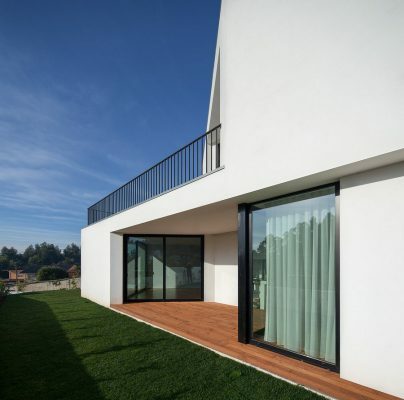 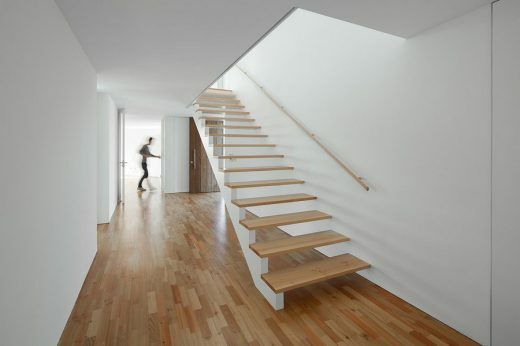 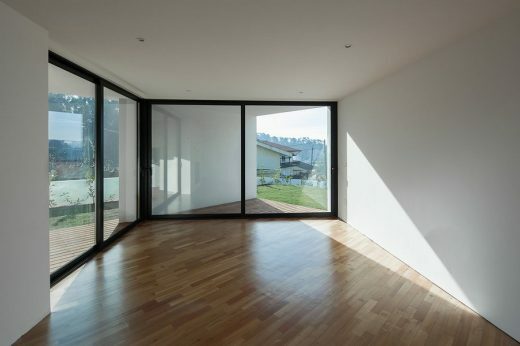 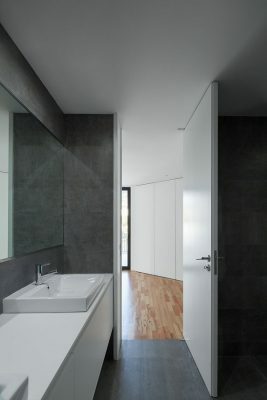 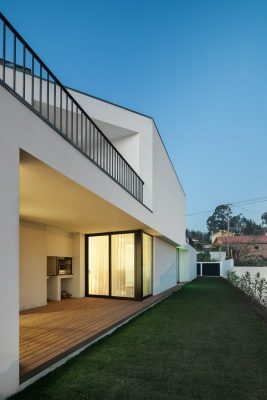 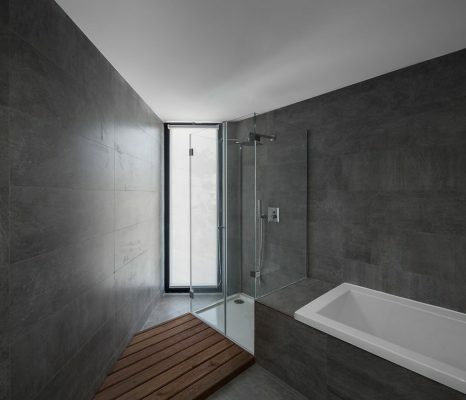 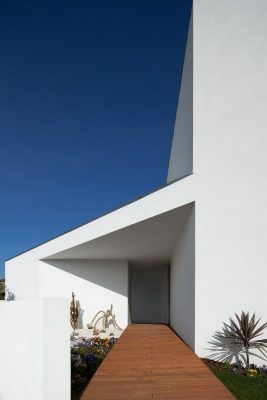 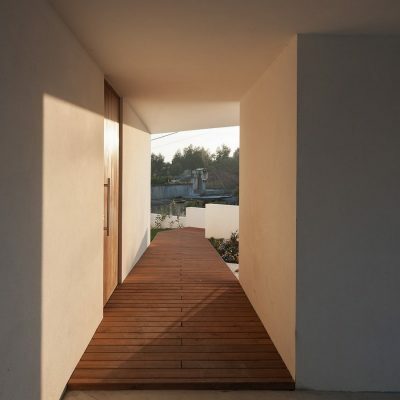 The interior of the house is composed with a streamlined form, with white colour on the walls, ceilings, woodwork and wood on the floor, all features, that allow the conception of a comfortable environment that values homogeneousness.